We’re sorry to report on the passing of Life Member Edward Hopkins. 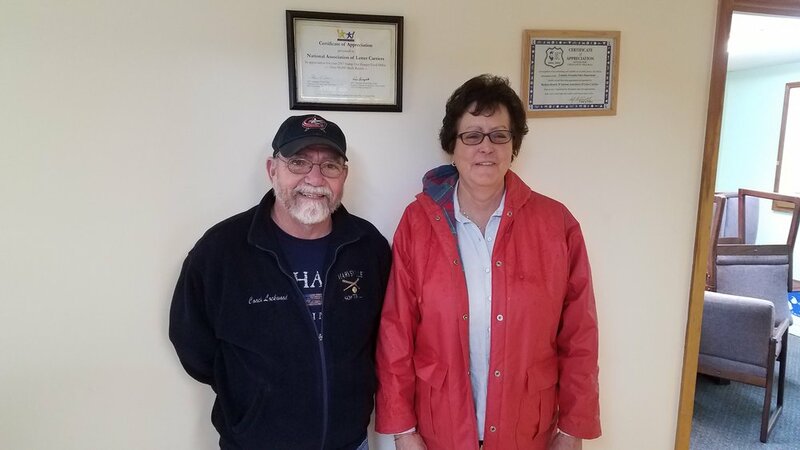 Retiree Jim Lockwood and Newly retired Letter Carrier Cathy Williams from Marysville. Dublin carrier Hal Nadler accepts his retirement watch at his send off party 2/2/2019 at a very well attended party of co-workers and family.